Hi everyone! How are you all doing today? I'm very excited to tell you all I am starting a four part mini series here at Lipstick and Lightening on budget make-up brands! 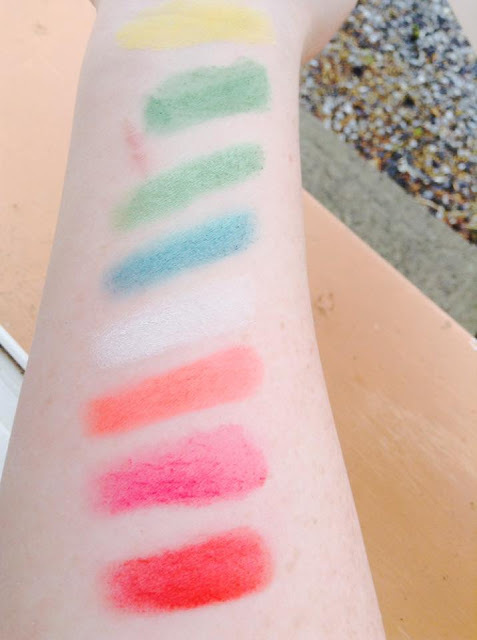 Once a week, I will be focusing on four different cheap make-up brands, and trialing three or four products from each and reporting back to you all! 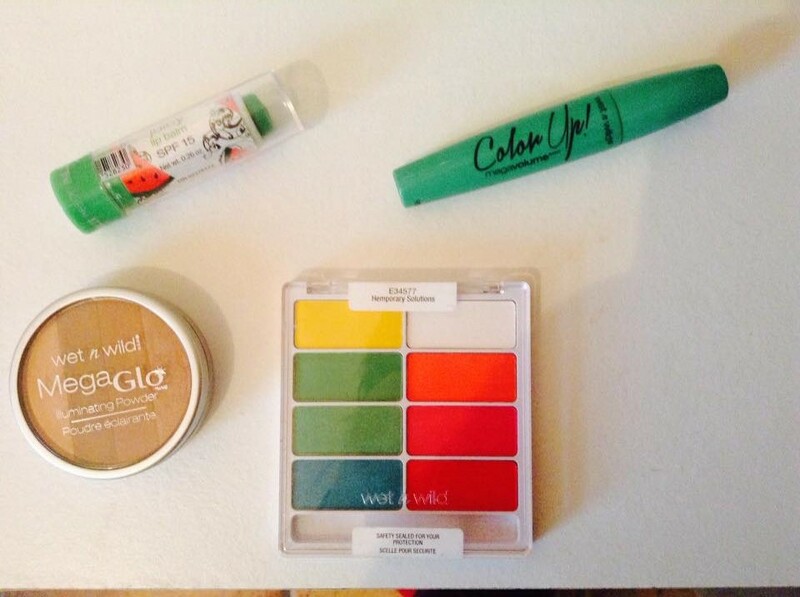 Today, I'm starting with Wet and Wild! Also, I apologise for the photo quality. Natural light hasn't been my friend recently and my Nikon needs batteries! Juicy watermelon lip balm- Don't be put off by the lip balm's green colour, there is no tint when you apply it at all, it's completely clear. I really love that this lip balm has SPF 15, which will do a good job of protecting your lips from harsh weather, especially in the Winter. The smell and taste is so good! 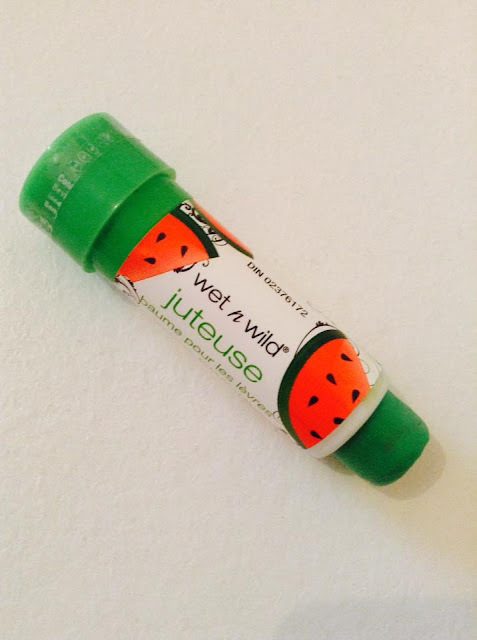 I've been known to eat an entire watermelon by myself, so this lip balm is a big winner for me! I feel this lip balm would appeal more to young teenagers, but it brought back some nostalgia for me! It's quite hydrating though unfortunately, it doesn't last very long on the lips. The lip balm feels comfortable, not sticky or glossy. I give it 7/10. 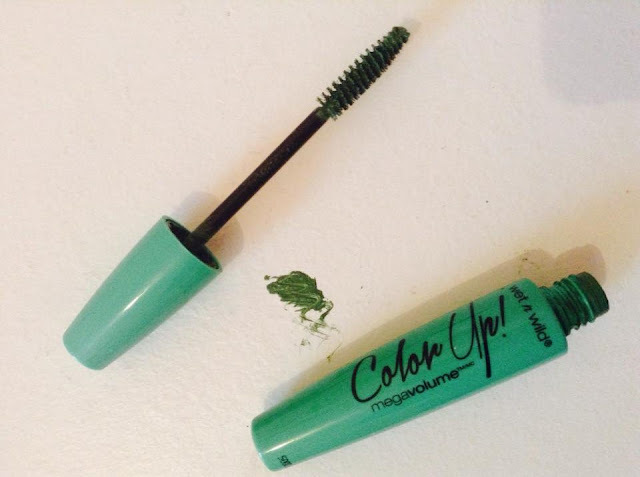 Colour Up mascara- I haven't worn mascara in months. It doesn't matter what mascara I use, it always end up under my eyes. They are just too sensitive, I think! I just apply some if I'm doing eye make-up to the ends to take off the dusty look on my lashes. The Colour Up mascara is green, which I actually really like. It doesn't go flakey, and it does a good job of lengthening my lashes. Though it does smudge a tad under my eyes still. It's very easy to remove at night. 7/10. 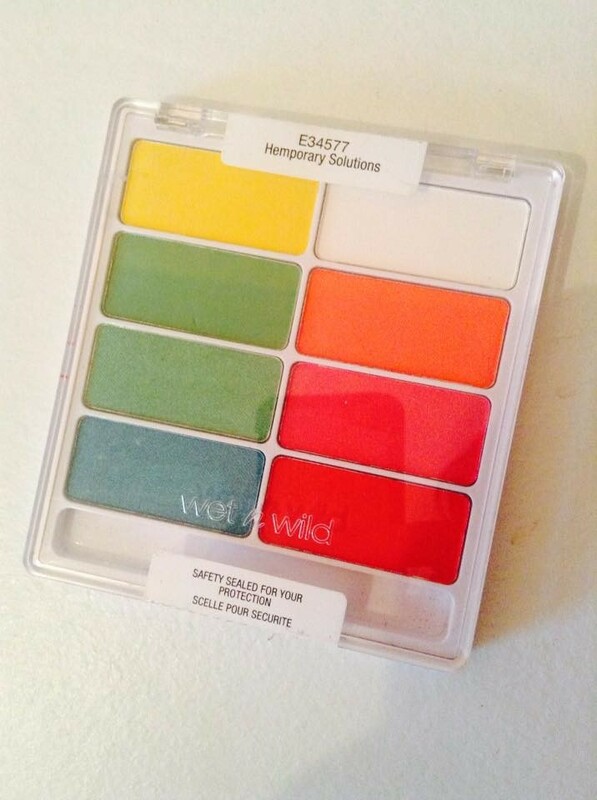 Hemporary Solutions eyeshadow palette- I really am loving the pop of colour in Wet and Wild's recent releases! None more so than in their ColourIcon range. I got the Hemporary Solutions palette, which has some great vibrant colour to experiment with. I really love using these shadows as an eye liner with my Real Techniques definition brush. Especially the green and blue with the shimmer finish. I apply the blue near my tear duct to a quarter of the way, and apply green to the rest of my waterline. I'm sad to say I found these shadows to be quite chalky, and the pigmentation only okay. You would need to apply the shadow more than once. Though the two shadows with the shimmer finish have better pigmentation and are less chalky. The longevity of the eyeshadows is decent, lasting from late morning to evening. 6/10. MegaGlo illuminating powder- I was a little bit wary of this illuminating powder, because I've had similar products in the past and because I'm so pale, they just made my face look muddy and dirty. But this powder doesn't make my face look dirty! 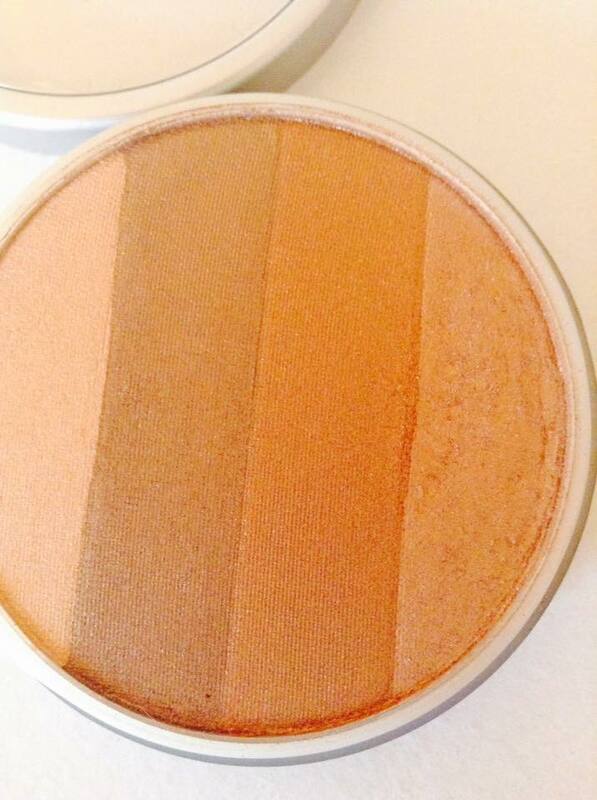 I apply this where the sun would hit my face, using my Real Techniques contour brush and a light hand. 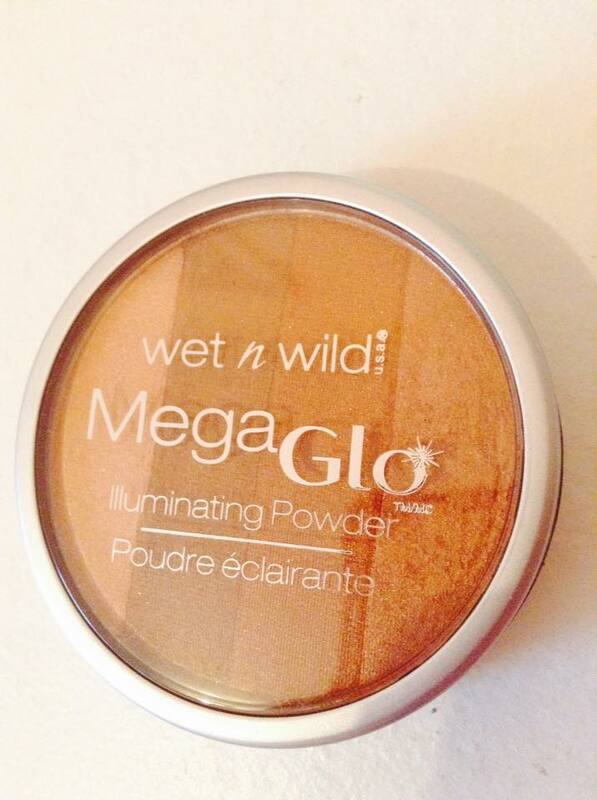 Its staying power is great and it delivers a really lovely, illuminating glow to my face. 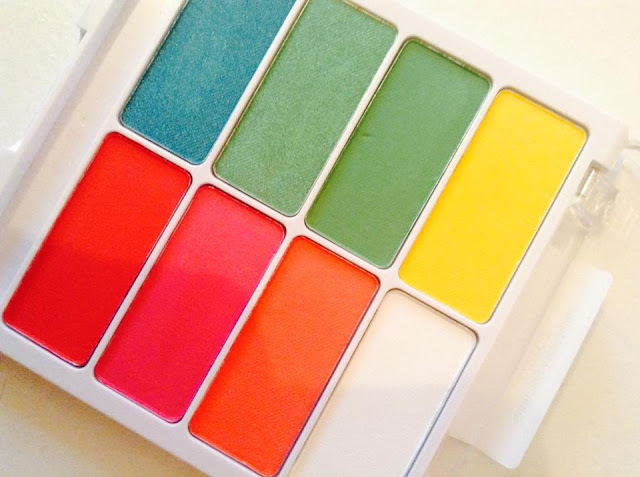 The pigmentation is brilliant! 7/10. And that's part one of my Budget Brand Focus mini series! Stay tuned for part two next week, What do you guys think of the Wet and Wild range? Let me know below!